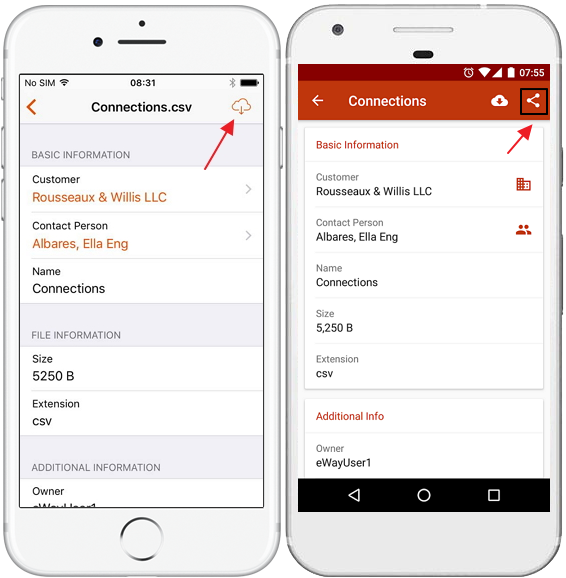 Documents and photos saved in eWay-CRM can be downloaded on your mobile phone regardless of whether you uploaded them on your PC or on your mobile phone. To download a document or a photo, tap the downloading icon in the top right corner. After the download, a document will be opened automatically (provided you have a suitable application in your mobile phone). Use Open File Instead of Document and Email Dialog on Double-click setting to adjust whether you want to open the file or eWay-CRM detail of a document. 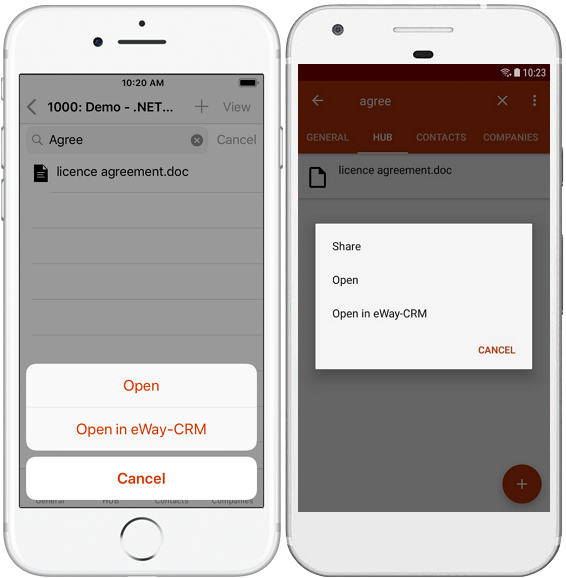 Documents and photos saved in eWay-CRM can be also shared regardless of whether you uploaded them on your PC or on your mobile phone. To share a document or a photo, tap the sharing icon in the top right corner and select a sharing application. For iPhones: You are using same icon as for downloading. For Androids: You can also tap and hold document in the list as you see above in Open Documents.